Kensington, Brooklyn: Have you seen these ducklings? Have you seen these ducklings? Car is gone (we'll get to that later) so let's move on to more important things... A local neighbor is on a quest to find some baby ducks that went missing from Prospect Park lake. The neighbor suspects they were purchased as pets (domestic ducklings) and dropped in the lake after their captors became bored. Unfortunately, not being native wildlife they may not survive in our dear park. 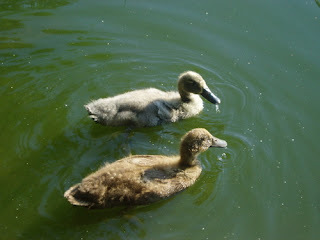 The ducklings have been missing since Monday, July 16th. You can read the whole tale here and contact the poster if you have any info.